Our records indicate that currently there are several hundred brothers in arrears with their dues, and it seems appropriate that I address this problem. The problem here, as I see it, is not so much that we are concerned about the financial aspect of their dues obligation. That’s only the minor part of the picture. My biggest concern is that there are all those members among us with whom we have lost touch. 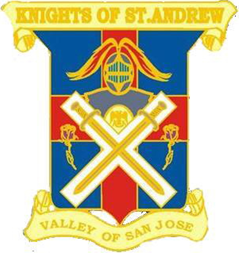 I feel that the message in this is the fact that we have shirked our duty to make these brothers feel a fraternal association with Valley of San Jose, and we don’t even know how they are doing. There has to be a reason for a brother to stop paying attention to his commitment to his fraternal body, and in very few cases do we find it to be that he has just lost interest. I know that I’m preaching to the choir with this message. I’m sure that virtually everyone reading it does so because they have an interest in what is happening in the Valley and are current with their membership commitment, but we have to start somewhere, and I feel it is important to get the matter into the arena of discussion, so that we, as an organization, can begin to work toward a solution. The first thing that comes to mind, of course, is the possibility that a brother is ill, incapacitated, or just doesn’t realize that he has fallen behind in his dues. Time has a way of slipping up on us and we often fail to realize that another year has passed while we weren’t watching. Our primary concern should be, and is, the health and welfare of our members. Our Almoner and Sunshine Chairman try to keep up on how our members are doing, but we sometimes just lose touch without constant feedback from those in need. My wife and I have big biological families and circles of friends, and every few weeks, we call several of our relatives and friends just to check on their welfare. We check on them by phone and occasionally visit them just to see how they are doing. It is only right and I feel that we should be doing at least as much for our brothers in Scottish Rite. As I have said earlier, dues aren’t the main problem. We have a Seniors Program that allows remission of dues, including per capita when a member reaches age 80. If the financial burden is more than a brother feels he can handle, we can see to it that his dues are remitted. Our effort must be not just to attend to the fiscal needs of the Valley, but to the personal needs of the members. Often a brother is embarrassed and reluctant to tell us that the dues are more than his budget will allow, and the only way we will find out these things is to come right out and ask. I have taken this matter up with the Council of Masters and we will be addressing it in the next few weeks. I’ll be sending out personal letters to those with whom we seem to be out of touch, and see what kind of response this brings, and then perhaps we will start on a program to contact these brothers by phone. We must reestablish personal contact with our membership and keep current on their welfare, health, financial condition, and possible infirmities of age, and let others in the valley know of the needs of all our brothers. A word of advice. 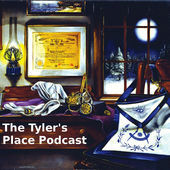 If you are one of those who have been unable to pay his dues, please help us out by letting us know why. If you are strapped for funds, just now, we’ll remit your dues. If you are ill, or disabled, we’d like to help you out. If you are deceased, please disregard this message, but next time this happens please let someone here know, as we’d like to send flowers and a note of condolence to your family.